More Space to Go More Places, Rochester. Finding adventure in the new 2018 Honda Pilot, now at Ralph Honda, is easy and convenient. 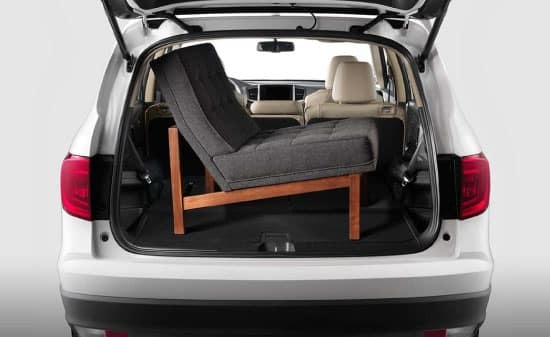 With flexible seating that accommodates up to 8, and a spacious cargo area for all of your gear, the versatile 2018 Pilot is sure to meet your varying needs from day-to-day. And thanks to the available All Wheel Drive with intelligent Variable Torque ManagementTM (i-VTM4TM), you can explore the Rochester roads and beyond with confidence any time of year. Wherever your next adventure leads you, the sleek and versatile Honda Pilot will help you make the most of it. Come to Ralph Honda to see why the Pilot earned the 2017 KBB.com Best Family Cars, and experience first-hand the Pilot’s many technology and safety features, seating configurations, and premium features available to you. Simply submit the form on this page or call 585-978-3070 now to setup your personal Pilot test drive experience. Just push a button and the One-Touch 2nd Row Seats automatically move forward, making it easier than ever to access the third row. With as many as five USB ports for charging tablets and mobile devices, two auxiliary jacks for headphones, up to three 12-volts outlets, a 115-volt outlet and an HDMI port for a gaming console, there’s no shortage of power in the Pilot. Bring the comfort of home with you on every road trip, thanks to a 9-inch Rear Entertainment System featuring DVD and Blu-ray DiscTM capability. Get a better view of what’s behind you with the Multi-Angle Rearview Camera’s three different views: normal, top-down and wide. 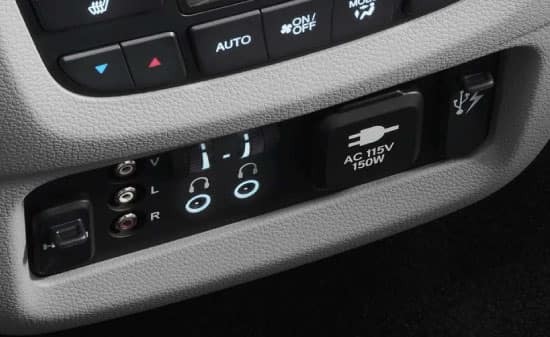 Keeping all your passengers comfortable at the perfect temperature is no problem with the independently-adjustable Tri-Zone Automatic Climate Control. 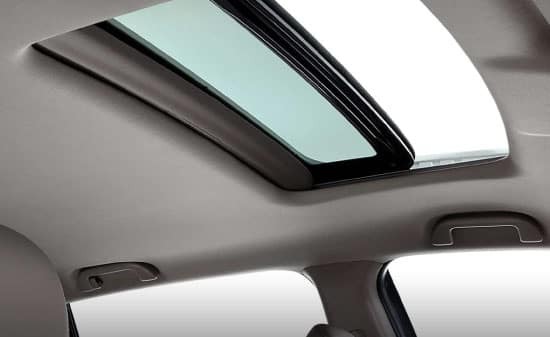 The sky’s the limit with two moonroof configurations – one lets you tilt and react while the second, larger one gives panoramic views to rear passengers. 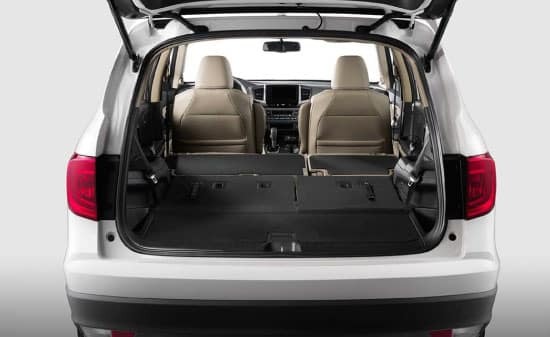 The cargo area was created for adventure, so there’s plenty of space for all your gear without taking away from passenger space. From the market to the mall and everywhere in between, you’ll have all the space you need to fit your haul. 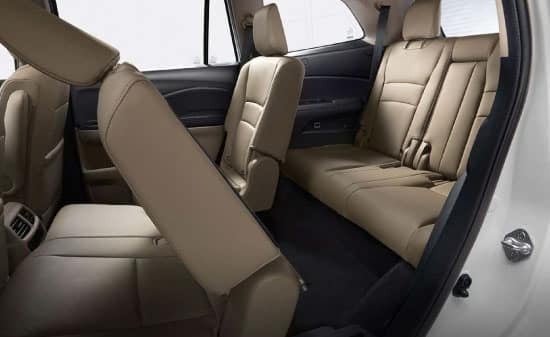 With 109 cu.-ft. of cargo volume  when the 60/40 Split 2nd – and 3rd – Row Seats are folded down, the spacious cargo area offers plenty of room. 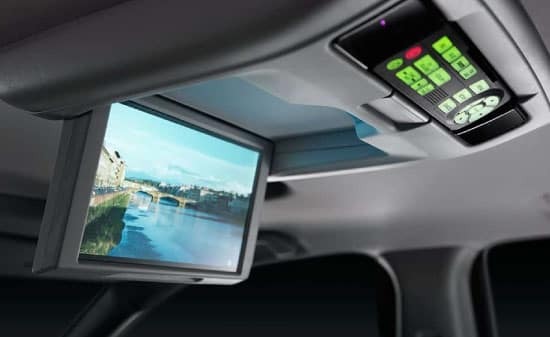 Honda Sensing® is a suite of safety and driver-assistive technologies designed to help by alerting you to things you might otherwise miss while driving, such as these listed below. Helps brake the vehicle when it senses an otherwise unaviodable collision with a vehicle detected in front of you. A small camera sees road markeres, alerts you if you’re about to leave the road, and can take action to help keep you from doing so. Adaptive Cruise Control with Low Speed Follow helps you maintain a set following interval on the highway, so you don’t have to manually change your speed. THE 2018 PILOT IS HERE! 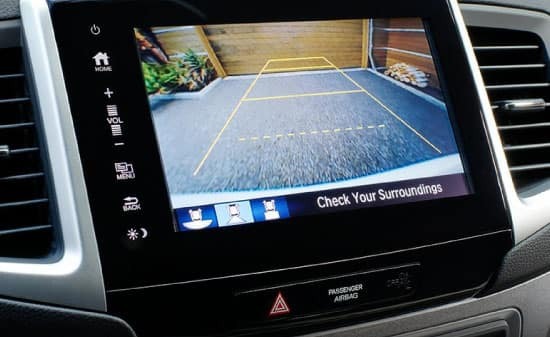 For more information about the latest Honda technologies and features available in the new Pilot, simply give us a call at (585) 978-3070 to setup a Test Drive, so you can experience everything first hand. *2018 Pilot AWD LX – MSRP: $33,775 – YF6H1JEW. 36 month closed end lease. $3499 trade or cash down. First payment, $595 acquisition fee, taxes and DMV fees due at signing. 12,000 miles/year. $0.20 overage. To qualified buyers through AHFC. Offer valid through 10/31/2018. **2018 Pilot AWD EX-L – MSRP: $39,635 – YF6H5JJNW. 36 month closed end lease. $3499 trade or cash down. First payment, $595 acquisition fee, taxes and DMV fees due at signing. 12,000 miles/year. $0.20 overage. To qualified buyers through AHFC. Offer valid through 10/31/2018. **Special APR offer valid on 2018 Pilot Models to well qualified buyers on approved credit by Honda Financial Services. Must take delivery by 10/31/2018. Not all buyers may qualify. Higher rates apply for buyers with lower credit ratings. Dealers set actual prices. See dealer for details. † MSRP excluding tax, license, registration, $975.00 destination charge and options. Dealers set own prices. MSRP excluding tax, license, registration, $975.00 destination charge and options. Dealers set own prices. 19 city/27 highway/22 combined mpg rating for 2WD 6-speed automatic. 18 city/26 highway/21 combined mpg rating for AWD 6-speed automatic. 20 city/27 highway/23 combined mpg rating for 2WD 9-speed automatic. 19 city/26 highway/22 combined mpg rating for AWD 9-speed automatic. Based on 2018 EPA mileage ratings. Use for comparison purposes only. Your mileage will vary depending on how you drive and maintain your vehicle, driving conditions and other factors. Maximum cargo space based on SAE (Society of Automotive Engineers) J1100 cargo volume measurement standard plus floor space between first and second seats and front seats moved forward. 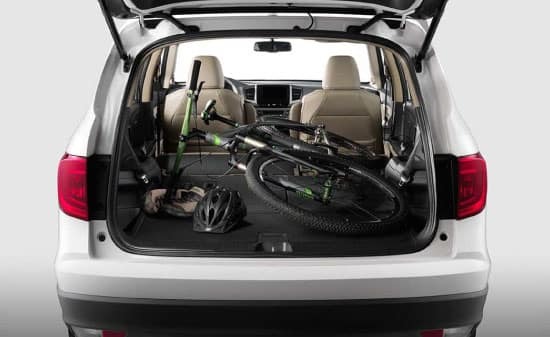 Maximum cargo space of 108.5 cubic feet for Elite models. Kelley Blue Books’s KBB.com has named the 2017 Pilot one of the Best Family Cars in the 3-Row SUV class, citing its available 8-passenger seating and saying its "third-row seat is the best in the segment. For more information, visit Kelley Blue Book’s KBB.com. Kelley Blue Book is a registered trademark of Kelley Blue Book Co., Inc.
 115-Volt outlet and HDMI Interface available with Rear Entertainment System. CMBS™ cannot detect all objects ahead and may not detect a given object; accuracy will vary based on weather, speed and other factors. 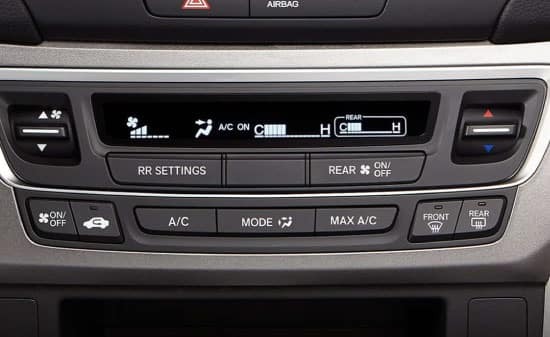 System operation affected by extreme interior heat. System designed to mitigate crash forces. Driver remains responsible for safely operating vehicle and avoiding collisions. ACC cannot detect all objects ahead and may not detect a given object; accuracy will vary based on weather, speed and other factors. ACC should not be used in heavy traffic or poor weather or on winding roads. Driver remains responsible for safely operating vehicle and avoiding collisions.